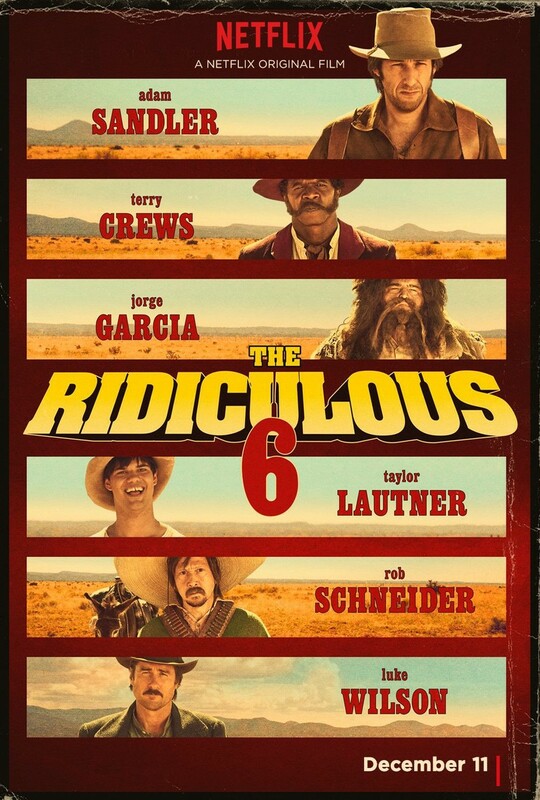 The Ridiculous 6 DVD and Blu-ray release date not announced. In the Old West, a white orphan boy named Tommy was was raised by Native Americans and renamed White Knife. As an adult, after robbing a bank, Tommy discovers surprising revelations about his past: He learns that his father is a deadbeat named Frank Stockburn. He also finds out that he has five half-brothers of varying ages and backgrounds that his father had with different women. The brothers then decide to work together and go in search of their father. As they cross paths with outlaws, law keepers, native peoples and others, they soon become known as the Ridiculous 6. DVDs Release Dates is the best source to find out when does The Ridiculous 6 come out on DVD and Blu-ray. Dates do change so check back often as the release approaches.